If you want to create engaging experiences for the mobile generation, then you need to advertise on Snapchat. Brands and content creators use Snapchat ads to promote stories that engage and excite a highly mobile audience. With 166 million daily active users, over 50% of which are aged 25 and older, Snapchat provides one of the best ways to reach individuals age 13 to 34 on their mobile devices. Here are three reasons why you need to advertise on Snapchat. Businesses are spending more on digital advertising every year. In fact, total online spend is expected to increase from $151 billion in 2015 to $204 billion in 2018. Digital advertising is growing because consumers spend more time online via computers and mobile devices and digital advertising provides many targeting advantages unlike traditional advertising. Although most of Snapchat’s users are of the younger generation, more than 50% of its new daily users are aged 25 and over. Even if your audience doesn’t fall in that demographic, Snapchat is still becoming a vital part of global marketing strategies. Shapchat users are active and engaged on mobile. Snapchatters, 60% of which create over 3 billion snaps every day, view one billion geofilters and more than 10 billion videos each day. Plus, Snapchat has 166 million daily active users who visit the app 18 times each day and share 8,796 photos every second. It would take you ten years to view all the photos shared on Snapchat in the last hour. But Snapchat users aren’t just taking Snaps. They’re consuming branded content—a lot of it. Vertical-made exclusively for mobile, vertical ad formats fill up the entire phone screen. Video-video ads are the best way to tell a story in a mobile-centric world. Views-because Snapchat ads are always full screen on mobile devices, they enhance the video viewing experience. 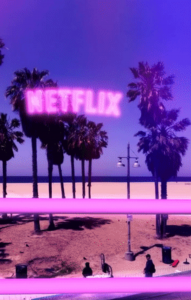 Although the creative requirements require additional investment on video editing, Snapchat claims that its vertical ads can perform up to nine times better than traditional letterboxed mobile ads. What can a Snapchat advertising agency do for you? Make it easier for people to find and share information about your business. Snapchat, founded in 2011 by Evan Spiegel and Bobby Murphy, is a mobile app that allows users to “snap” a video or photo as a means of communication with other users. Snapchat allows users to monitor their chats or to follow stories they find interesting. Snapchat’s rise in popularity as a social network was primarily influenced by the new trend of communicating with rather than curating pictures and videos. Unlike traditional social media, which, by curating all content, provides a “social identity” in regards to everything a user has ever done, Snapchat allows users to instantly express their feelings and share their normal, day-to-day lives. 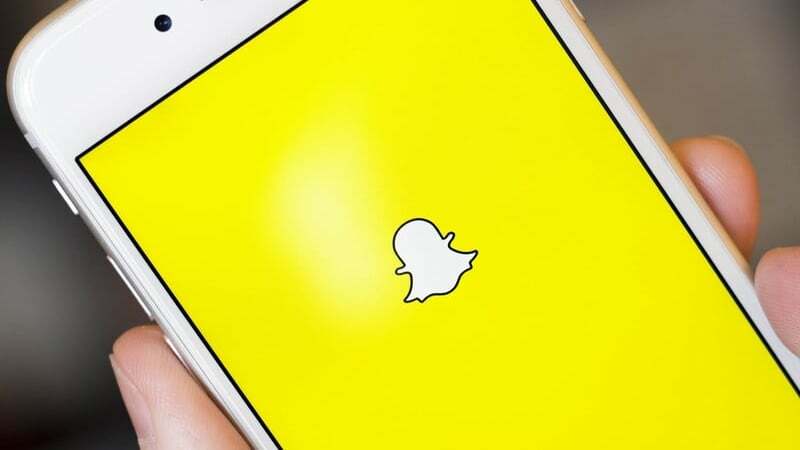 Although there are many reasons why you should advertise on Snapchat (people spend 25 to 30 minutes every day on the app; Snapchat has two times higher visual attention than comparable platforms; it has five times the swipe-up rate,), there are three that stand out. Snapchat’s user base is made up of people ages 13 to 34. Although Snapchat’s users are mostly of the younger generation, it also has users with more purchasing power: people who are aged 25 and older. Currently, more than 50% of Snapchat’s new daily users are aged 25 and older. Snapchat allows brands to creatively tell their stories. It doesn’t matter if these stories are for consumers or professionals—all stories have an audience. On Snapchat you can watch new product releases, press releases, exclusive coupons, behind-the-scenes content, new team member introductions, and many other events from companies. Snapchat allows and encourages brands to be honest and creative, making it stand out from other platforms. 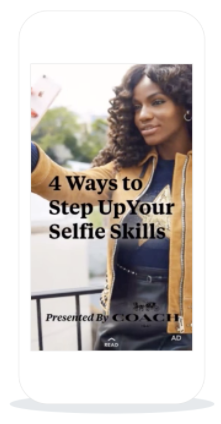 No matter what your business does to generate revenue, there are multiple ways in which you can use Snapchat to create unique content for your niche audience. For example, if you own a restaurant, go behind the scenes and give secrets and insights into the recipes. If you’re an artist, take your fans on the behind-the-scenes life. Snapchat is the perfect opportunity to form a real relationship with your customer. There are several Snapchat advertising options available to brands when they work with an advertising agency. Snapchat’s app-install ads help you generate more app installs. While your ad plays, the CTA “Install Now” appears on the bottom of the screen. Users swipe up to download your app from the app store without leaving Snapchat. You can purchase app install ads from Ad Manager, Ads API partners, the ad auction, and directly from Snapchat (Insertion Orders). Sponsored lenses are filters that alter someone’s facial features. With sponsored lenses, users can take pictures with dog ears perched on their heads, full make-up on their faces, and funky accessories on their bodies. Users can even use filters to make themselves appear like certain public figures. You can purchase sponsored lenses directly from Snapchat (Insertion Orders). If you want to promote your articles, use the Article ad format. Like all Snapchat ad formats, the article format, which fills your phone screen, opens vertically. You can purchase articles from Ads API partners, the ad auction, and directly from Snapchat (Insertion Orders). You can purchase web attachemtn ads from Ad Manager, Ads API partners, the ad auction, and directly from Snapchat (Insertion Orders). Long-form video ads promote movie and tv show trailers, behind-the-scenes footage, and how-to videos, among any others. Your ad, which will play a short 10-second preview of your long-form video, contains a “Watch” CTA on the bottom of the screen, which, when swiped up, will play the entire video. You can purchase video ads from Ad Manager, Ads API partners, the ad auction, and directly from Snapchat (Insertion Orders). You can purchase sponsored stories from Ad Manager, Ads API partners, the ad auction, and directly from Snapchat (Insertion Orders). Geofilters are special overlays that communicate the “where and when” of a snap. 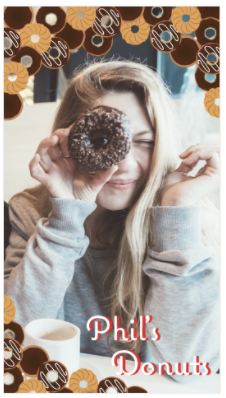 Businesses and individuals can purchase geofilters for their events, brick-and-mortar stores, or other specific locations. Brand logos and trademarks are permitted and encouraged. 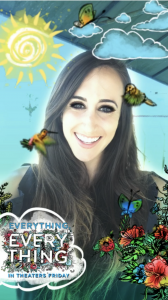 World Lenses allows you to create lenses that augment a Snapchatter’s environment. Augmentation includes levitating 2D or 3D objects and interactive content, among other items. Audience Lenses allows you to purchase regionally targeted lenses and a guaranteed number of lens impressions for a specific audience, including an audience that is targeted by demographics and lifestyle. 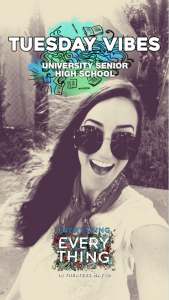 Smart Geofilter automatically adds location information to a nationwide or chain geofilter, including city, state, neighborhood, or zip code. How much does Snapchat advertising cost? Snapchat, whose ad pricing options include a daily, weekly, or annual rate, requires that you spend a daily budget of $100. AdvertiseMint only accepts clients with a $5,000 monthly ad budget. 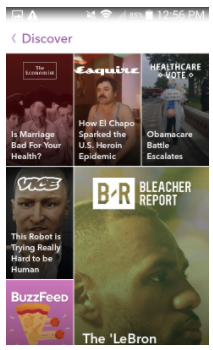 What type of ad targeting does Snapchat offer? Much like Facebook, Snapchat allows you to target users according to interests, demographics, locations, device attributes, and custom audiences. Interests - Snapchat has over 60 interest categories including parenting, political news, music festivals, and more based on users’ activities on the app. Demographics - Snapchat offers basic and advanced demographic targeting options, including name and age, language, household income, and education. Location - You can target by country, state, region, or designated market area. Device Attributes - You can target by device, operating system, carrier, and cellular connectivity, such as wi-fi or 3G. Snap Audience Match (SAM) - You can target customers from your customer list (acceptable data are email addresses and mobile IDs), a Lookalike audience (an audience similar to yours), and an engagement audience (an audience that has engaged with your filters and content). Snapchat acquires information on its users from two sources. The first source comes from online information Snapchatters give to Snapchat. This includes the information they provide when they register and the information Snapchat collects about their activities (what they watch and where they take snaps). The second source comes from third-party data providers, such as Oracle, comScore, and PlaceIQ, that track offline activities. What kind of metrics does Snapchat offer on the effectiveness of ads? With the help of third-party measurement companies, Snapchat offers five ways you can measure your ads’ effectiveness. Viewability - With the use of first-party data and third-party reports, Snapchat provides measurements for how many users have viewed your ad. Reach - Information from first-party data and third-party reports will show you how many users your ad reached. Additionally, the reports will share information on those users’ age and gender, among many others. Resonance - With the use of in-app polling and data from partners, Snapchat can provide information on people’s thoughts and feelings about your brand. Reaction - Snapchat can tell you the amount of impact your Snapchat ad has on driving offline, in-store purchases. Where do Snapchat ads appear? 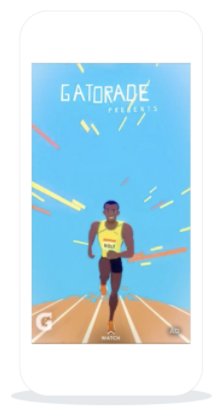 Snapchat ads appear in Our Stories, Editions, shows, and users' Stories. If you decide to advertise using sponsored filters or lenses, your filters and lenses will appear within the filters menu. So I have to re-cut my ad for Snapchat? Yes. Videos will need to be edited to fit a vertical format. Snapchat ads can perform up to nine times better than letterboxed mobile ads. Who is the Snapchat audience? Snapchat has 166 million daily active users who spend between 25 to 30 minutes taking and viewing snaps. Those users take and view snaps at home (81%), in restaurants (80%), at concerts (70%), at the gym (50%), and at the airport (49%). Although Snapchat is an app mostly used by the younger generation, over 50% of new users are aged 25 and older. AdvertiseMint is a digital advertising agency that specializes in helping successful companies advertise on Instagram. Working with a Snapchat advertising agency has several advantages for your business. AdvertiseMint wants to earn your business every month. We have no sign up fees and require no long term contracts. Hi. After having worked over the past 15 years in both corporate and start-up positions, I realize how vital it is to have great people on your team. Because digital is changing so quickly, it’s important to always have an understanding of your goals, a deep knowledge of the available tools and clear communication about the progress that is being made. 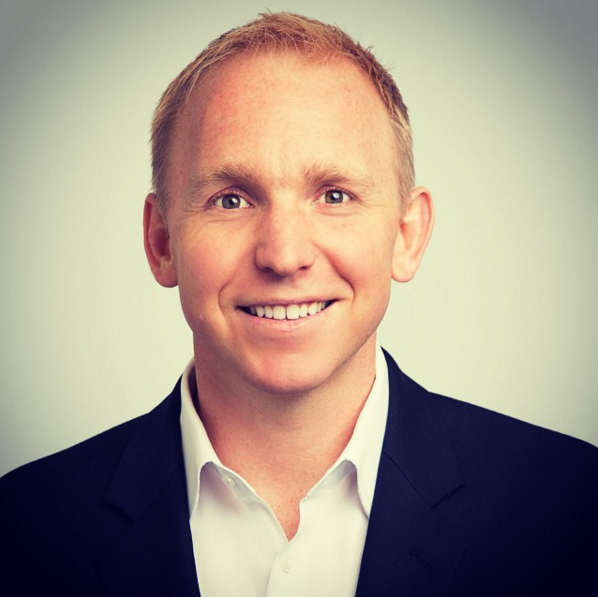 I founded AdvertiseMint to become the leader in Snapchat advertising and to make the process simple, effective and fun for the companies we represent. Our friendly team is standing by and ready to ensure your Snapchat advertising is engaging and relevant. I know there are many options when it comes to digital advertising, but I would love to have the opportunity to prove that our team is the best Snapchat advertising agency to represent your business.